As an author, you have more rights than you might think. 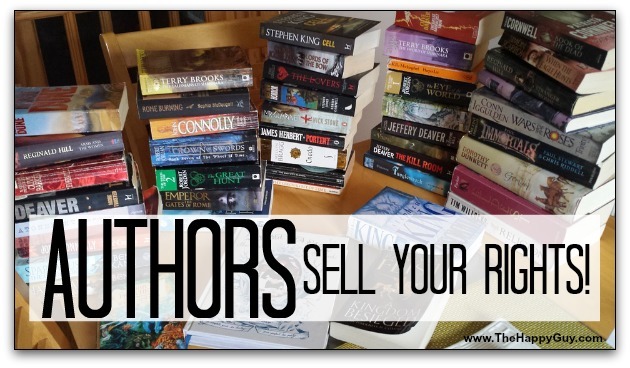 Get more out of your writing; sell your rights. Most authors don’t think too much about their rights. They think about copyright, for sure. They often mail themselves a copy of their manuscript, making sure that the date of mailing is very clearly displayed in the cancellation, as proof of copyright. Most authors also register their work with their national copyright registry. Many authors even believe that registering their work grants them copyright. It doesn’t; registration is just registration. Copyright is created when pen hits paper or fingertips hit keyboard. But once the work is complete, there are many additional rights that you own and might be very valuable to sell. The nature of your book will determine which ones are ideal for you. Just to make it clear, “selling rights” does not mean handing over copyright. What you really are doing is licensing certain specific rights. Probably the most obvious rights are print rights and electronic rights. Very simply, if you have published only in print, you can sell electronic rights to someone else. If you have published only electronically, you can sell print rights. It gets more complicated. Even if you have published in print, you might still be able to sell non-exclusive rights to someone else. This means that you can continue to sell your paper version, even while a publisher also sells a paper version. You can attach whatever conditions to this arrangement that you and the other party agree to. When I published Climb Your Stairway to Heaven: the 9 habits of maximum happiness through iUniverse.com, I sold non-exclusive rights. So I was free to make whatever deals I wished with other publishers. One of the most common rights that can be sold is foreign rights. The great part of this is that there are so many countries to market your book. In my case, I was able to sell my manuscript to four east Asian publishers, and one European publisher. And I came this close to selling to a fourth east Asian publisher, a Middle East publisher and another European publisher. Deals were reached, paperwork was exchanged, but two changed their minds and the other one was nixed by the government. 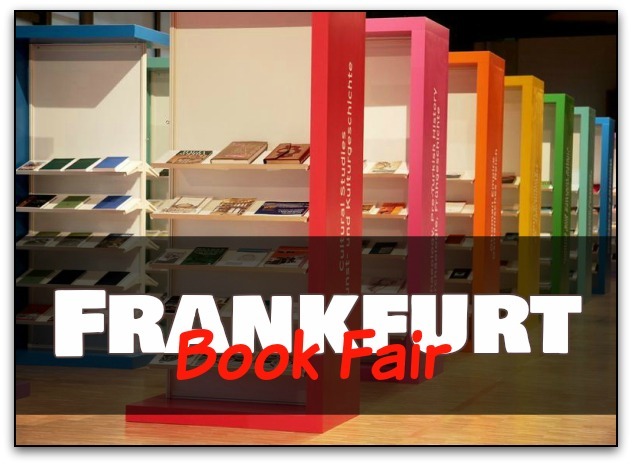 For foreign rights, best to get an agent who is well versed in international book markets, such as the Frankfurt Book Fair. He can negotiate for a specific print run, and if the book does well, it can be renewed for additional revenue. This is not the same as foreign rights, in two important ways. First, if you have published in one country, such as the United States, you might still be able to sell foreign rights in the UK or in Australia. But you obviously cannot sell language rights for English. Similarly, if you sell French language rights to capture that corner of the Canadian market, that is not the same thing as selling Canadian rights. And if you sell foreign rights for Spain, that does not exclude you from also selling Spanish language rights in the USA or in the Americas. When it comes to foreign rights and language rights, you have lots of options. The most important question to ask before considering either foreign or language rights is: “Who might my market be?” Self-help books often do well around the world, assuming that they are not written in such a fashion as to be culturally insensitive or culturally alien elsewhere. For instance, a book on overcoming Christmas holiday depression will not be marketable anywhere in Asia, although it might be in Europe. A lot of fiction translates well, but some genres do better than others in various foreign markets. One of the best ways to profit from your book is to sell additional rights. Another well-known right that can be sold is film rights. Everybody wants to write a book. Once it’s written, everybody wants to see their name on the movie theatre marquee. If Harry Potter and Frodo Baggins can be up there, why not your characters? Of course, this applies almost exclusively to fiction authors. I am still hoping to see if we’ll be watching Incarceron in the theatres sometime soon, but there has been no news since 2013. Boo hoo. As I learned with some foreign rights, so Catherine Fisher discovered that you can come to an agreement and still not succeed. Somewhat similar to film rights are TV rights and stage rights. Stage rights are rare these days, but TV rights are not. Once again, it takes a certain type of story, in this case one that can be drawn out over a period of time, to be adaptable for television. There is a thriving market for audio books. These appeal to people with limited or no eyesight. They also appeal to people who spend a long time on the road, such as truckers or people who work far away and drive home on weekends. And some people just enjoy audio books. This is not even selling rights to your work, but rather to represent your characters or book title on coffee mugs and t-shirts and such. Don’t even get me started on all the Harry Potter merchandise we purchased when our older daughter went through her Harry Potter fan-girl phase (otherwise known as “childhood”). You won’t be selling those unless you stay on the top of the Best Seller List for quite a few months. This is even rarer than merchandise rights. You can sell the rights for other writers to create official fan fiction using your characters and your settings. 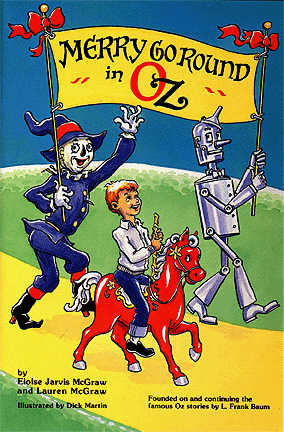 Merry Go Round in Oz would be an example of such a book. Your books would have to be pretty successful before this possibility would open itself up, and then you might not want to share creative control with other writers. If you want to sell rights, there is one very important thing you must do. You must demonstrate success. While you must be wildly successful to sell merchandising or franchise rights, even a little success can go a long way when pitching foreign rights or language rights. If your book has sold only ten copies in its home market, foreign publishers will see it as much riskier than if your book has sold 2,000 copies. Before you enter into negotiations to sell rights, it helps to understand the legal ramifications. At the very least, you do not want to sell over all your rights; you want to be very, very specific about what you are selling and for how long. You might want to pick up a copy of Self-Publisher’s Legal Handbook or The Writer’s Legal Guide. Selling your rights can be a very lucrative way to turn a mildly profitable book into a financially worthwhile endeavor, as well as to expand your audience for future books. If you are an indie author, you are completely in control. If you are working with an established publishing house, you will have to negotiate with them the rights you retain and are available for sale, or the terms under which they can sell those rights. It might be to your advantage to keep as many rights as possible, or it might be to your advantage to give the publishing house permission to sell those rights for a percentage of the take. Man, it’s a good thing I read this because I was all ready to fuss and gripe and complain and be totally against the concept… until I read it. lol After reading it I can see all those other rights and, in many of those cases, I can see where you’re coming from and how it might benefit the writers. Its revealing for me knowing of these rights associated with writers. I guess its time to take advantage of those applicable. As a non-fiction writer I hope to sell some of my “rights” for profits. Thanks for recommending these books: Self-Publisher’s Legal Handbook and The Writer’s Legal Guide.